The payments made to Gnome IT Solutions are not refundable Gnome IT Solutions consents to providing its services to the clients, provided the following terms of service (TOS) and acceptable use policy (AUP) are met. You agree to accept both by agreeing to use the services of Gnome IT Solutions. While the AUP is subject to revision from time to time without any prior notice to the subscribers, the discretion to do so rests with the company. Further, customers also acknowledge that if the company makes changes to the AUP, the same will not constitute grounds for either non-payment of service charges or termination of the contract on an earlier date than agreed upon by the clients. In case any legal issue arises in the course of the contract, the same will be under the jurisdiction of the state of Illinois and will be construed according to the laws of the state. The AUP, which is mentioned in the contract, does not approve of the use of the services for activities that are termed “illegal” as per the laws of the state. The Company reserves the right to disclose information related to the subscriber, either in part or in full, including account history, IP numbers or account use to law enforcement agencies on receiving a written request without informing the subscriber about it. Moreover, Gnome IT Solutions may also terminate its services in cases involving illegal activities. Purchasing 32 IPs (29 usable) or higher requires IP Justification - https://www.gnomeitsolutions.com/downloads/IPJustificationForm.pdf. By agreeing to the terms and conditions mentioned in this contract, the subscriber acknowledges that the information pertaining to the nature of service or service charges have been furnished to them and that they are aware of the Company's policy to make a revision in the service charges from time to time. The services of the Company to the subscriber can be termed "established" only if the former receives the stated charges from the latter, and acknowledged via receipt. Subsequent payments in a month will be due on the same date of every month for a month's service. In addition, the subscriber consents to an automatic recovery of the service charges by the Company through their credit card on monthly basis. By virtue of it, Gnome IT Solutions may process the credit card of the client from one to five days prior to the original due date to ensure the smooth reception of funds. All payments made to Gnome IT Solutions are nonrefundable and includes the setup fee at the beginning and subsequent charges, irrespective of the nature of use. The subscriber is required to report the issues related to billing disputes within 30 days from the actual date on which the issue had occurred. Any dispute to the amount charged by credit card issuer, which is deemed valid according to the TOS/AUP of Gnome IT Solutions, will lead to a $25 "Administrative Fee" to the subscriberalong with the termination of all active services associated with their account. In the event of non-receipt of payments that are due for a month, Gnome IT Solutions reserves the right to terminate the agreement. However, the subscriber will still remain liable to pay the accrued charges plus collection fees or reasonable interest. If you wish to cancel your account, you may apply for the same by raising a helpdesk ticket, seven days before the due date. You are also required to provide all information related to your account. Interruption of services: Given the nature of the services provided by the Company, the subscriber acknowledges that there can be an interruption in the services due to various reasons. In the process, they also agree that the company is not liable to pay for any damages, loss or injury which may occur subsequently. You will automatically receive the invoice at least seven days before the due date. 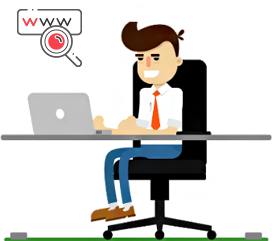 For the sake of convenience and in line with the needs of our customers, we provide 24x7 technical support to them by means of the web-based help desk. It remains open all the time, except for brief company meetings or some holidays. As the servers housed at the facility of the company are not managed, we ensure that the server is available on the internet. We neither provide support for issues related to any particular application like CGI Programming, HTML etc. nor any technical support for the clients of our customers. Gnome IT Solutions adopts a zero tolerance approach towards SPAM or unsolicited emails. In other words, the clients of the Company are not permitted to use its network for UCE transactions. The same holds true for their customers. Also, the customers should neither host nor permit others to host the sites or the information pertaining to UCE from any other network. Any breach of this policy may either lead to penalty or termination of the agreement. If Gnome IT Solutions receives a notification related to the violation of its SPAM Policy, the Company will at first, initiate an investigation within 24 hours during which, it may restrict the customer’s access to the server to prevent any further misuse or violation. If the customer’s involvement in the incident involving the breach of the policy is established in the course of the investigation, the company may either suspend, restrict or terminate their account. In order to recover the costs associated with the investigation, Gnome IT Solutions may pursue civil remedies. It may also notify the law enforcement agencies about the incident if any criminal offense is established in the course of the investigation. The first step will involve the charging of an "Administrative Fee" worth $50, and the account will be under review for an immediate termination if deemed necessary. A violation of the policy will result in an "Administrative Fee" of $100 and instant termination of the customer's account. Besides, a "Research Fee" of $175 will also be charged for carrying out the investigation of the matter by the personnel of Gnome IT Solutions. As it may prove to be expensive, we expect our customers not to SPAM from their account. To address the issue of SPAM, it is strongly recommended that our clients should use stricter policies for their customers in this regard. We take a zero tolerance stance against sending of unsolicited e-mail, bulk emailing, and spam. "Safe lists" and purchased lists will be treated as spam. Any user who sends out spam will have their account terminated with or without notice.Sites advertised via SPAM (Spamvertised) may not be hosted on our servers. This provision includes, but is not limited to SPAM sent via fax, email, instant messaging, or usenet/newsgroups. No organization or entity listed in the ROKSO may be hosted on our servers. Any account which results in our IP space being blacklisted will be immediately suspended and/or terminated.Gnome IT Solutions reserves the right to require changes or disable as necessary any web site, account, database, or other component that does not comply with its established policies, or to make any such modifications in an emergency at its sole discretion. We may immediately remove the account of such customers from our server who host websites or services which support spammers or may cause our IP space being listed on any Spam Database. Subsequently, the server will remain disconnected until the concerned customer agrees to fully remove the offending material as soon as the connection is established. We may ask for the access to the server to verify the same. While first violation will result in severe penalties on the part of the customer, repetition of the same will lead to permanent removal of their account immediately without any notice. Gnome IT Solutions will have the right to control the internet protocol addresses assigned to its clients, meaning that the customers will have no right to use them in ways other than the ones permitted by the company in the agreement. Furthermore, the company reserves the right to change or remove the assigned internet protocol addresses without any notice. As a standard rule, all IPs allocated to the customers should be used within 48 hours. In case the same does not happen, the company may retract them at its sole discretion without any notification to the client. Hybrid Servers combine the benefits of dedicated servers — exceptional performance and enterprise specifications — with the convenience and flexibility of virtualized infrastructure(Cloud Dedicated Server). They are an excellent choice for eCommerce stores and web applications that have outgrown their existing hosting. The company will keep an eye on the bandwidth used by its clients. It may take a punitive action against a customer if the use of bandwidth by them has a negative impact on other clients. The account of a customer will be immediately terminated if it is established in the course of an investigation that they have violated the acceptable use policy for the second time. Any violation or undesirable action linked to the network or system security of Gnome IT Solutions will be treated as a crime and may result in criminal or civil liability. These include any unauthorized attempt to access the data, any breach of security protocol or authentication measures, interference in the network of other users via flooding, overloading, crashing, mail bombing or taking any unauthorized action. If required, the company will fully cooperate with the law enforcement agencies in cases involving severe violation of this policy. Gnome IT Solutions does not assume or undertake the responsibility to police the internet activities of its client. However, if a violation of the policy comes to the notice of the company officials, the customer will receive a warning email regarding it and the services may be temporarily discontinued until the customer gives an assurance in writing to the company that the same will not be repeated in future. If at the subsequent stages, the customer is found to have repeated any incident involving violation of the acceptable use policy, they will be subjected to a severe penalty other than the instant termination of their account. Sometimes the company may terminate the agreement at first and inform the customer later as a last resort if an offending activity by them causes great harm to others on the internet. Gnome IT Solutions may at its sole discretion, either restrict or block the entire outgoing SMTP traffic if a malicious behavior is detected. By doing so, the company will not be liable or responsible for the degradation of the service due to the move. The use of SMTP traffic may be allowed if a customer provides legitimate reasons or evidence for the same. Cancellation or suspension of service: Gnome IT Solutions reserves the right to suspend or cancel its services to its clients whose servers are found to be the source of violation of the aforementioned policies. The company does not assure a prior notification to its customers. It may also reach out to law enforcement authorities in cases involving criminal offenses as per the local laws. The company reserves the right to revise its policies from time to time at its sole discretion. Moreover, the subscribers are expected to comply with the amended policies failing which, their accounts may be suspended or terminated as deemed fit in the investigation. By agreeing to the AUP, the clients of Gnome IT Solutions agree to indemnify the company for any infringement of any policy either related to its AUP or TOS that causes a loss in any manner due to third-party. What it means is that a customer will be liable to bear the financial expenses of any damages and attorney's fees in the event of a third party suing the company due to their action. Notwithstanding the nature of service, the customers also agree to relieve the company of any losses caused to them due to the discontinuation of service depending upon any reason out of all the reasons mentioned in the contract. The customers agree to keep the company updated with their current contact information which includes their telephone number, fax number, and email address. This agreement prohibits them from transferring or assigning the agreement to any other part without the prior written consent issued by the company Gnome IT Solutions does not undertake any responsibility related to material input, damages to any of its client's business or the content of any other website linked to its network. The company will also not be liable for the loss of data or merchantability or warranty for the same. Payments made to Gnome IT Solutions are non-refundable The following constitutes the violation of the acceptable use policy (AUP) of Gnome IT Solutions: Unauthorized usage: The unauthorized use of any of the services provided by Gnome IT Solutions is considered as a major violation to its AUP. As a result, the company reserves the discretion to cooperate with concerned third parties or legal authorities to initiate an investigation if any civil wrongdoing or crime is suspected. Threats include the misuse of features, like e-mail, posting, uploading, and on, offered by the company to encourage or cause bodily harm or loss of property. It includes the unauthorized use of email or posting services to transmit any material to harass another person intentionally or deliberately. The manipulation or modification of any information pertaining to the header with the objective to mislead or deceive others is strictly prohibited as it violates the acceptable use policy of the company. Any unauthorized usage of Gnome IT Solutions’s services comprising offers to buy or sell items or services or advance any financial scam are included in this category. Any unauthorized use of Gnome IT Solutions’s services for the purpose of transmission of unsolicited bulk or commercial email may lead to the instant termination of the account of the offender. If a user makes use of the email services in a way that impedes the use of the email by other user or users of the company’s service, the offender’s account will be immediately terminated without any notice. The manipulation or forging of the message headers either partially or fully is strictly prohibited. The company has a zero tolerance approach towards such unethical practices. Any electronic transmission of such content will be treated as the violation of the company’s AUP. On no account are the customers allowed to post messages or commercial advertisements that infringe the rules and regulations of a mailing list or newsgroups. Only those commercial messages that are solicited or accepted by the recipients are permitted. Gnome IT Solutions expressly prohibits any attempt to steal or access the data or content of other users. The same applies to the telecommunication and electronic communication system and hardware or software of another entity. Similarly, the customers are expected to adhere to the laws related to copyright infringement of the content which belongs to any third party. That is to say that the clients of the company should not misuse any of the company's services to transmit materials that violate the copyright, patent, trademark, proprietary rights or trade secret of any third party. Network disruptions or denial of service attacks is a big no no on the network of Gnome IT Solutions. Practices like spamming, trying to get into the server of others, electronic transmission of viruses or adult content, undesirable use of any software or IP addresses, gambling are expressly prohibited. If the involvement of a customer in any such activities is established, the company will impose a severe penalty on them, and may even go to the extent of prosecuting them depending upon the seriousness of the incident. Hosting the game servers, direct connect clients, bots or internet relay chat networks, services that cause denial of service attacks, traffic exchange, plex hosting or streaming, the use of proxies or VPNs for any other use other than personal usage, CCCam/OSCam/MultiCS, transmission of torrents/bittorrent, etc. are not allowed. Actions that are aimed at violating the security of Gnome IT Solutions's system will lead to instant termination of all services provided by the company. Reseller clients of Gnome IT Solutions are responsible for supporting their clients.Gnome IT Solutions do offer only limited support for Resellers Clients. If a Resellers client contacts us, we reserve the right to place the client account on hold until the Reseller can assume their responsibility for their client. All support requests must be made by the Reseller on their clients behalf for security purposes. Resellers are also responsible for all content stored or transmitted under their reseller account and the actions of their clients.Gnome IT Solutions will hold any reseller responsible for any of their clients actions that violate the law or Gnome IT Solutions Terms of Service / FUP Policies / .If any Reseller account involved in doing Resource abuse or Unacceptable content abuse's Gnome IT Solutions has rights to block the total Reseller since the accounts should maintain under the fair usage policy.Reseller's are responsible for their clients how the accounts are being hosted. All services provided by Gnome IT Solutions may be used for lawful purposes only. Examples of unacceptable material include: IRC Bots, Proxy Scripts, Anonymizers, Pirated Software, Warez, image hosting only sites that do not host an actual domain/normal website content, Escrow, High-Yield Interest Programs(HYIP), Bank Debentures ,Livechat/Chat Scripts,Download sites(Pirated softwares), Bank Debenture Trading Programs, and Prime Banks Programs, lottery sites, muds, rpg's, hate sites,Facebook Bots,Instagram bots (Social Networking Related Bots), hacker focused sites/archives/programs, sites promoting illegal activities,Flash Games or Online Gaming Sites,Movie's,MP3 Songs,File hosting. No refunds will be given. Examples of unacceptable material include: IRC Bots, Proxy Scripts, Anonymizers, Pirated Software, Warez, image hosting only sites that do not host an actual domain/normal website content, Escrow, High-Yield Interest Programs(HYIP), Bank Debentures ,Livechat/Chat Scripts,Download sites(Pirated softwares), Bank Debenture Trading Programs, and Prime Banks Programs, lottery sites, muds, rpg's, hate sites,Facebook Bots,Instagram bots (Social Networking Related Bots), hacker focused sites/archives/programs,testing environments (Storing your Website Projects), sites promoting illegal activities,Flash Games or Online Gaming Sites,Movie's,MP3 Songs,File hosting. No refunds will be given. You shall agree to use only licensed and legal third party softwares in connection with your use of our services. Gnome IT Solutions reserves the right to suspend or cancel a customer's access to any or all services provided, at any time, or when Gnome IT Solutions decides that the account has been inappropriately used or otherwise. U.S. export control regulations forbid trade and impose economic sanctions and embargoes against certain targeted geographic regions, countries, and governments including: Iran, Cuba and Syria.So Hosting Accounts which Such TLD Are not allowed and it will be blocked. Uptime The uptime of a server is defined as the reported uptime from the operating system of the server which may differ from the uptime reported by individual services.Gnome IT Solutions cannot 100% gaurantee the uptime status of any server for many factors which may include but not limited to updates to software, malicious or intentional activities, hardware failure, acts of God defined as conditions beyond our (Gnome IT Solutions and/or our vendors that provide equipement or services to us) control that interupts services at a facility. Websites/Servers Down Due to Firewall IP Block Caused by Failed Login Attempts/Excess number of connections from Particular IP are not covered under the Uptime gurantee. Any service interruptions or downtime due to scheduled maintenance by Gnome IT Solutions or our network providers will not count towards the uptime guarantee. Gnome IT Solutions is not liable in any way for failure of third party services. Gnome IT Solutions will not be liable for failure or delay in performing its obligations if such failure or delay is due to circumstances beyond its reasonable control, including but not limited to acts of any governmental body, war, insurrection, sabotage, embargo, fire, flood, strike or other labour disturbance, interruption of or delay in transportation, unavailability of, interruption or delay in telecommunications or third party services (including DNS propagation), failure of third party software or hardware or inability to obtain raw materials, supplies or power used in or equipment needed for provision of the Services. All payments made to Gnome IT Solutions are nonrefundable and includes the setup fee at the beginning and subsequent charges, irrespective of the nature of use. The subscriber is required to report the issues related to billing disputes within 30 days from the actual date on which the issue had occurred. Any dispute to the amount charged by credit card issuer, which is deemed valid according to the TOS/AUP of Gnome IT Solutions, will lead to a $25 "Administrative Fee" to the subscriberalong with the termination of all active services associated with their account.Gnome IT Solutions reserves the right to cancel, suspend, or otherwise restrict access to the account at any time with or without notice incase of any FUP/TOS Violation's.No Refunds Any abuse on our staff in any medium or format will result in the suspension or termination of your services. Any Software License purchased from Gnome IT Solutions Should be used only on our Servers.Using of License in another server which does not belongs to Gnome IT Solutions Will lead to License suspension/termination and No Refunds will be offered. All the WHMCS License offered by us should be used only on our servers.As per the WHMCS Agreement we are not allowed to sell/give license to other servers.Incase of violation license will be cancelled and no refunds will be given Free WHMCS License must be used only on our servers incase of violation the free license will be subjected to cancellation and no refunds for the orders. Gnome IT Solutions shall not be responsible for any damages your business may suffer. Gnome IT Solutions makes no warranties of any kind, expressed or implied for services we provide. Gnome IT Solutions disclaims any warranty or merchantability or fitness for a particular purpose. This includes loss of data resulting from delays, no deliveries, wrong delivery, and any and all service interruptions caused by Gnome IT Solutions and its employees.Gnome IT Solutions has rights to Change the Terms of Service/Refund Policy/Pricing of Plans anytime with or without Notice.All customers would be bound by the newest terms published on the website.